On Wednesday, Dec. 9 celebrate National Pastry Day with a decadent housemade pastry. You can start in the morning with a flakey pastry and cup of coffee, or finish lunch with a fruit filled treat. 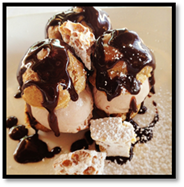 In the afternoon when your sugar craving hits its all-time-high, indulge with a cannoli and cup of tea or wait for the perfect post dinner dessert with a scoop of ice cream. From cannolis to profiteroles, I’ve rounded up a few buttery and flakey pastries below to help you navigate find the ultimate pastry on National Pastry Day. 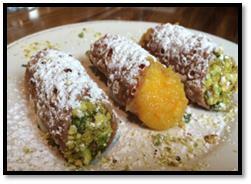 Enjoy a delicious homemade cannoli shells filled with ricotta, orange marmalade and pistachios. 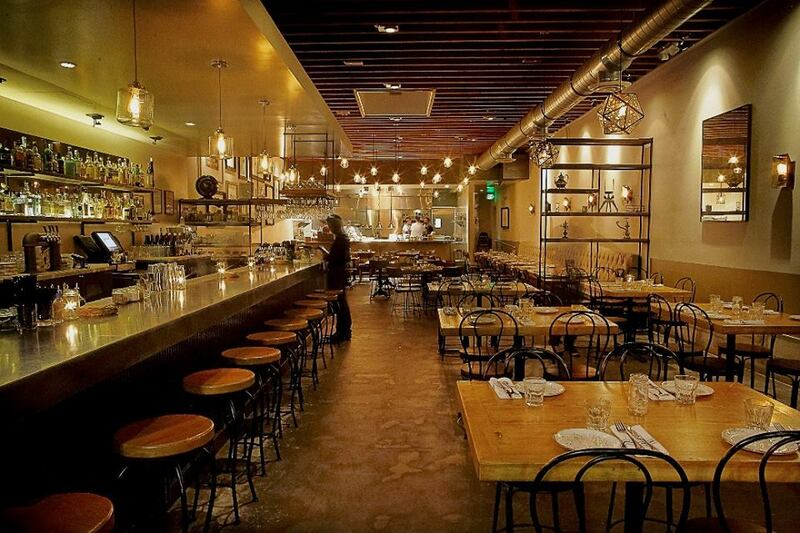 Restaurateur Matteo Ferdinandi and Chef Angelo Auriana serve traditional Italian fare in a trattoria style restaurant in the heart of Downtown Los Angeles’ Arts District. Other indulgent sweets include pannacotta – berry coulis, seasonal berries, ovis mollis cookies; bigné – chocolate filled cream puffs, blueberry & pear port sauce, praline dust, chantilly cream; and a crostata made with baked granny smith apples, spiced white chocolate gelato, caramel sauce. 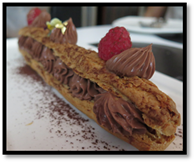 Open for lunch, brunch, and dinner daily, this is the spot to get an exquisite Grand Chocolate Éclair. 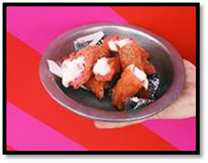 1602 Ocean Ave., Santa Monica, CA (310)458-9294 – http://thelobster.com. Perfect for breakfast lunch or dinner is Pastry Chef Ann Kirk’s Fruit Focaccia baked in-house from scratch each day with seasonal fruits. During the day enjoy until 3 p.m., warm apple Bread Pudding made with apple cider reduction,creme fraiche and whipped cream. In the evening starting at 5:30 p.m. nourish your soul with Anniversary fritters with creme fraiche whipped cream or a warm peach tart. Chocolate lovers will enjoy cocoa cake, with a chocolate semifreddo, coffee meringue and nib nougatine. 2128 Hillhurst Ave. Los Angeles, CA – (323)661-0055 – http://www.littledoms.com. Next Post Candy Cane Shake – YUM!